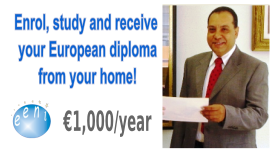 Syllabus of the Online Course (Subject): Regional Organisation for Democracy and Economic Development (GUAM). 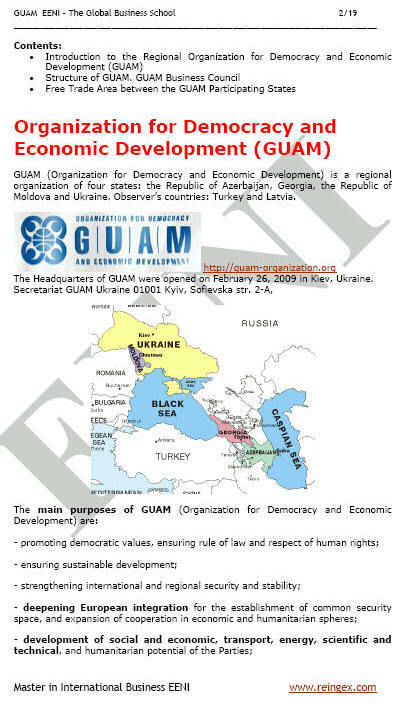 The Organisation for Democracy and Economic Development (GUAM) is a regional body of four states: Azerbaijan, Georgia, Moldova, and Ukraine (Europe). Turkey and Latvia are observer countries. The Free-Trade Area between GUAM's Member States entry into force in 2003. The GUAM Business Council facilitates the implementation of the agreements finished within the framework of the Regional Organisation for Democracy and Economic Development (GUAM), agreements on the development of cooperation among business circles and business entities of GUAM participating states.